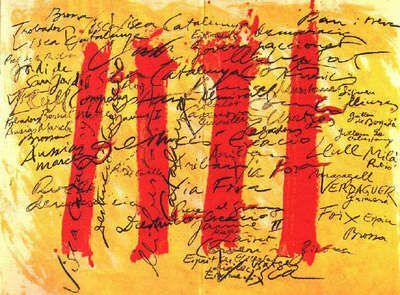 Basil Howitt offers an overview of the use of Catalan in the Roussillon or French Catalonia. Louis XIV’s curse on Catalan stigmatised the language for some two-and-a-half centuries. After the transfer of Rosselló (Roussillon) to France from Spain in the Treaty of the Pyrenees (1659), efforts to eradicate Catalan in favour of a national language were long, arduous – and ultimately unsuccessful. The date of this treaty, incidentally, is deeply ingrained in the minds of local residents – just as 1066 was drummed into the skulls of English children. Over the years, several Perpignan taxi drivers have rattled off this Treaty to me chapter and verse. The Roussillon or Northern Catalonia now forms the major part of the present-day Département of the Pyrénées-Orientales (which also includes most of the Occitan Fenouillèdes). 3 Abbé Henri Grégoire’s Survey 3 The bid to eradicate other regional languages, especially Breton, Basque and Occitan, extended all over France. In 1794 the Abbé Henri Grégoire produced a “Report on the necessity and means to annihilate the patois and to universalise the use of the French language”. The Abbé estimated that more than six million French citizens were completely ignorant of the national language and that a further six million could barely converse in it. Only about three million or 11% of the population were pure French speakers, and even many of these were unable to write it. In 1880, the proportion of the population comfortable with French was estimated at about eight million or a little over 25%, and many officials – police, prefects, priests, doctors – needed interpreters! In the Roussillon, Brittany and large swathes of central and southern France, the situation was more extreme, with 90-100% of the local communes having been judged (in 1863) to be “non French speaking”. Catalan is spoken by some nine million people (estimates vary) in France, Andorra (where it is the sole official language), Alghero (Sardinia), the Balearics, the USA, and, of course, Spain. Its presence on the internet is ranked 19th throughout the world. Since 1975 Catalan, with its local variants, has been recognised as one of Spain’s four national languages, along with Castilian, Basque and Galician. On és el lavabo sis plau? Ho sento, no parla el català. The first real crackdown in France on all regional languages came with the introduction in 1881 of compulsory secular schooling for boys and girls aged six to thirteen by the then Minister of Education Jules Ferry. It is riveting to share the childhood memories of parents and grandparents, now mainly in their late fifties and over, who recall being punished for speaking Catalan at school. Mme Fabre remembers having to write her hundred lines and having to stand in the corner with her hands behind her back. Some children spoke Catalan at home and French elsewhere. Our local GP, Dr Puly, recently spent half an hour with us recalling how his parents and grandparents talked to each other in Catalan and to him in French. Similarly our friend and part-time neighbour Jo, Breton born and bred, relates how his parents spoke to each other in Breton (which he never understood) and to him and his siblings in French. – The establishment of the Bressola maternal and primary schools, initially in Perpignan (1978) and Prades (1989). There are now eight Bressola schools in the P.-O.. The methods used are based on “total immersion”, especially in the playground where older children help teach the younger ones. – from the northernmost border town of Salses-le-Chateau to southern frontier towns such as Cerbère, Font Romeu, Enveitg and Latour de Carol. – The Conseil Général’s formal recognition in 2007 of Catalan as a valid language in the Département. – The popular summer courses in Catalan held in Prades at the Universitat Catalan d’Estiu since 1963. Commissioned Survey – How Many Speak or Understand? My friend and “woman on the spot” in Prades, Liz Abbott, tells me that “if you hang around the Prades Tuesday market you hear a lot of Catalan.” But most of that age group never learned to read and write it” – because, of course, it was banned when they were at school. In the Albères, Cerdagne and Capcir areas you will hear more. Mme Fabre tells me that in each of these border areas, there are different forms of Catalan. However the differences do not prevent easy mutual understanding. Likewise Catalans on either side of the Spanish border can communicate quite easily.